This week, November 5-11, is National Skilled Trades and Technology Week (#NSTTW)! Skills Nunavut will be joining Skills Canada and its members across the country in celebration by hosting free after school and lunchtime workshops and activities for youth designed to get them inspired by, and thinking of, the skilled trades as exciting, viable options for their futures. We will be partnering with professionals from our communities and leading a variety of different skills, including baking demonstrations, electrical snap circuits building, makeup tutorials, construction projects and much more! It is clear that skilled trades and technology careers are important for our economy and an excellent career path for many young Nunavummiut. Yet many youth in the territory do not know what trade careers look like and lack the opportunities to try them out and pursue them long-term. This week of events and festivities is dedicated to raising awareness into the array of career options available in our communities, as well as the value in having a hands-on career. We kicked off Nationals Skilled Trades and Technology Week on Sunday, November 5 at Inuksuk High School in Iqaluit. Skills Nunavut alumna and now National Technical Committee representative for Baking, Eliane Kanayuk-Gabriel, teamed up with local culinary arts experts to lead a six hour intensive cooking and baking workshop for keen high school students. 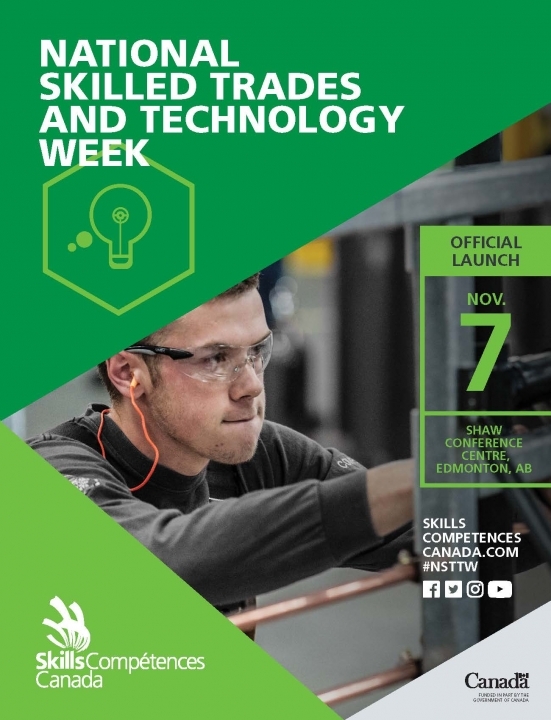 The festivities will continue on November 7-8 when Skills Nunavut takes over the high school and middle school for Skills Try-A-Trade Extravaganza! On Friday, November 10th, there will be a free aesthetics workshop for students interested in learning theatrical and costume makeup application. We invite you to follow along using #NSTTW and share your own stories and photos showcasing how your life benefits from the skilled and technologies. Wherever you are in the territory, skilled trades and technology workers are crucial to our daily lives. Encourage your yourself, your children or friends to participate in Skills Clubs throughout the year in communities across Nunavut. It's never to late to try something to and get involved in the skilled and technologies, from baking your own bread to learning to fix your Skidoo, you too can join #NSTTW right now!